Just off the approach road to Sainsbury's, this 60ft tower was originally built in the 1930s to hold 5,000 gallons of water in case of fire at a nearby gasometer. 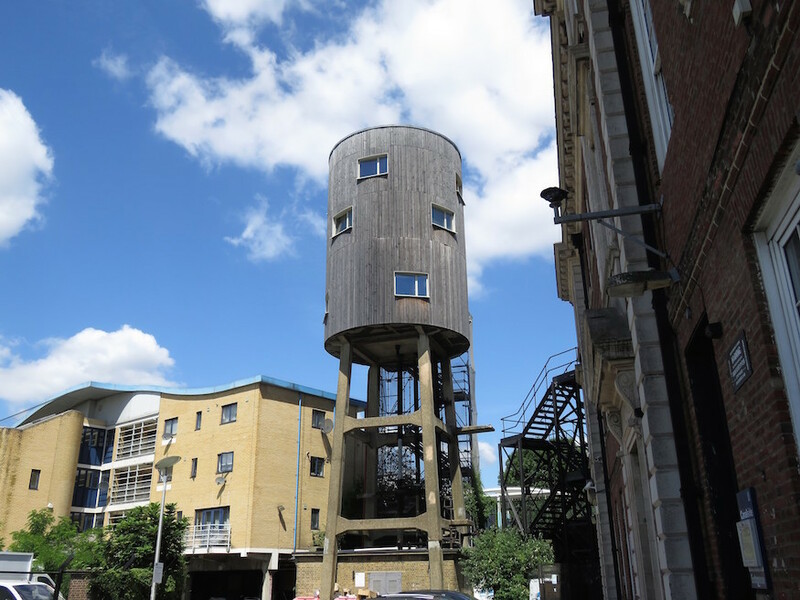 Designer Tom Dixon bought the tower in 2005 and set about converting it into an eco-friendly, three-storey house, complete with 360-degree reception room on the third floor. If you're from the area, you're doubtless already familiar with this jaw-dropping sight. But while nearby Neasden Temple rightly enjoys a high profile, the jewel of Ealing Road is perhaps less well-known. 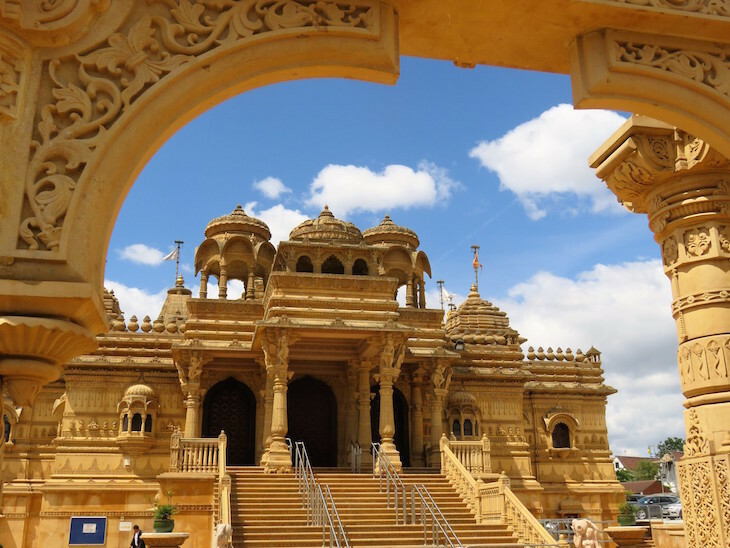 Opened in 2010, the £16m Shri Sanatan Hindu Mandir is made entirely of Indian limestone and took 14 years to construct, using the same ancient methods employed to build Cambodia's Angkor Wat. Find out more about London's temples. 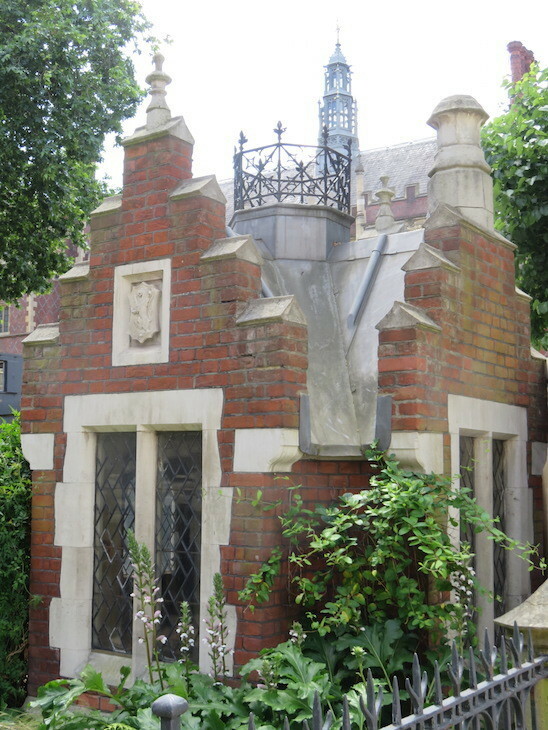 Currently clinging to the edges of a major conservation and extension programme at the Inn's Great Hall and Library, this small but perfectly formed 'hut' is London's tiniest listed building. Built in 1860, it originally housed the ostler — the man paid to take care of the lawyers' and visitors' horses. 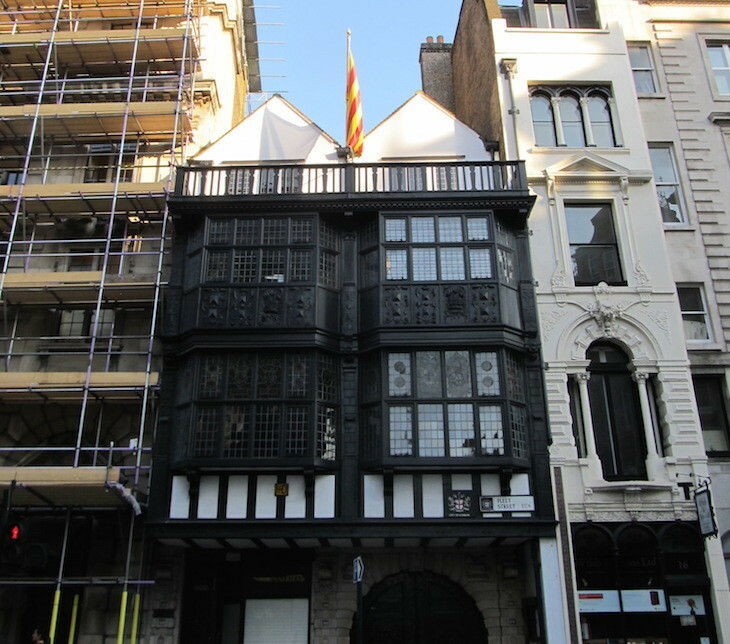 This incongruous-looking Jacobean townhouse is a rare survivor of the Great Fire of London. 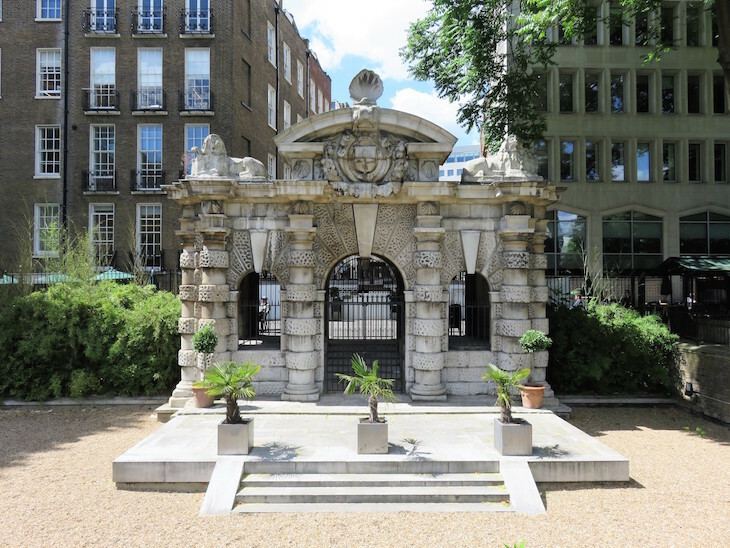 Housing the stone gateway into the Inner Temple, the building's history can be traced back to the 12th century. Over the years, it's been a tavern, a celebrity waxworks and, until recently, a small museum displaying artefacts from the Pepys Society, known as Prince Henry's Room. 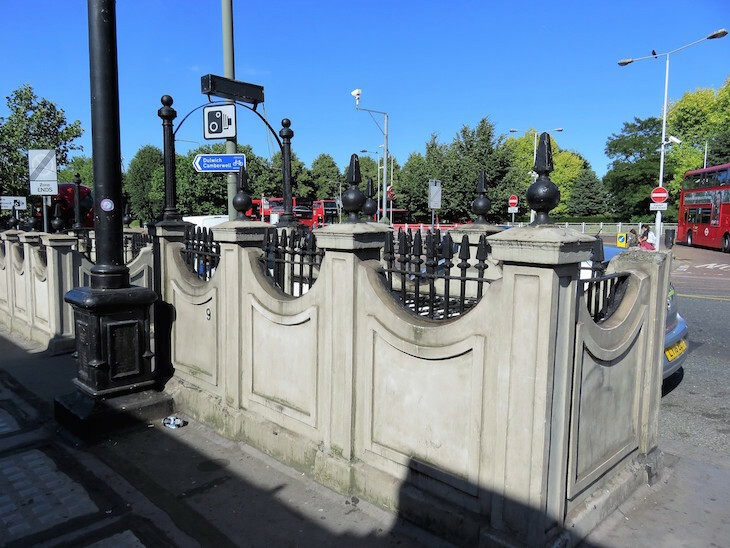 Ever wondered why there's an ornate and unnecessary gateway at the Villiers Street end of Embankment Gardens? Wonder no more! Built in 1626, it marks the position of the original north bank of the Thames, prior to the construction of the Embankment in the 19th century. 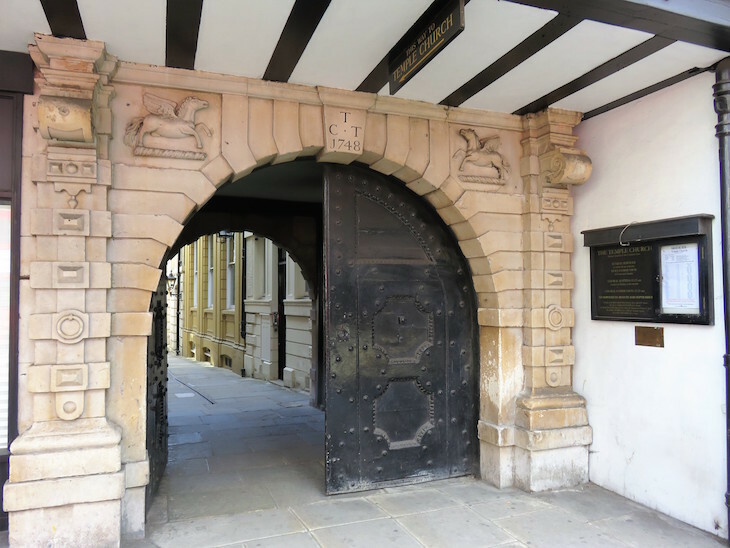 The gateway provided easy access to the river from the garden of York House, home to the first Duke of Buckingham. These odd-shaped stone constructions may prove a baffling sight — if you're not clued up on military history, that is. 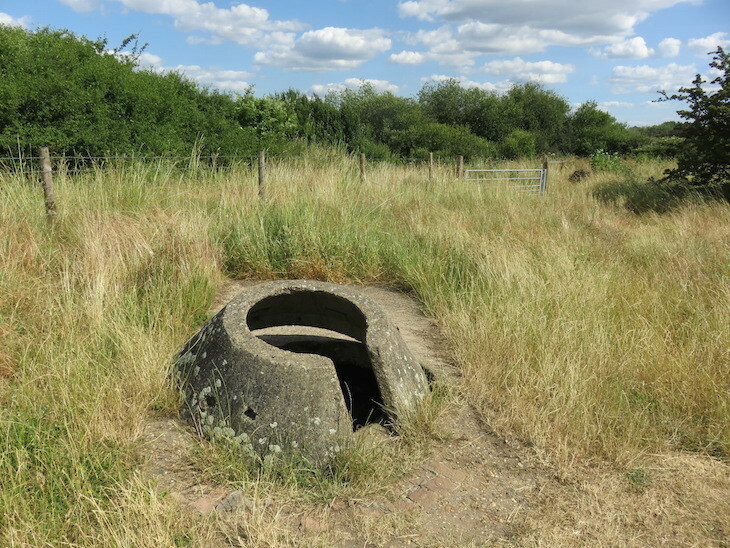 Known as Tett turrets, they're actually small circular pillboxes — comprising a revolving turret above a bunker — built to defend RAF Hornchurch during the second world war. 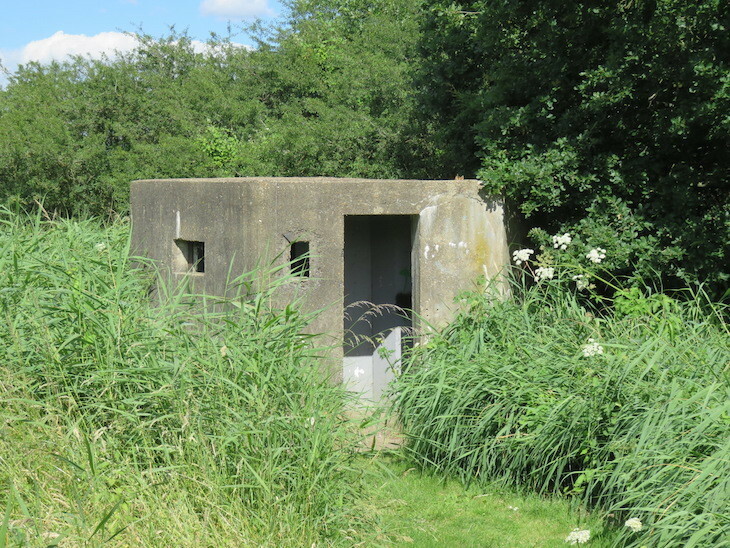 The park is also home to the remains of two more conventional pillboxes. This unusual tower was designed by Sir Frederick Gibberd — the architect behind the London Central Mosque in Regent's Park — for the Festival of Britain. During the 1951 extravaganza, Poplar was home to the Live Architecture Exhibition, showcasing ways in which bomb-damaged east London could be rebuilt. 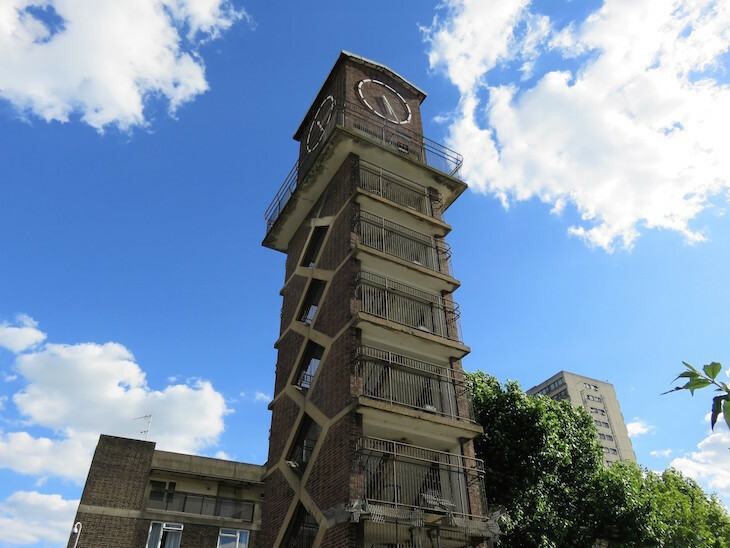 Gibberd's 55ft clock tower consists of two pairs of interlocking staircases leading to and from a viewing platform. Sadly, however, it was only open to the public for a short time. No, it's not a Greek temple. It's a pumping station, commissioned and completed during the late 1980s heyday of Docklands redevelopment. 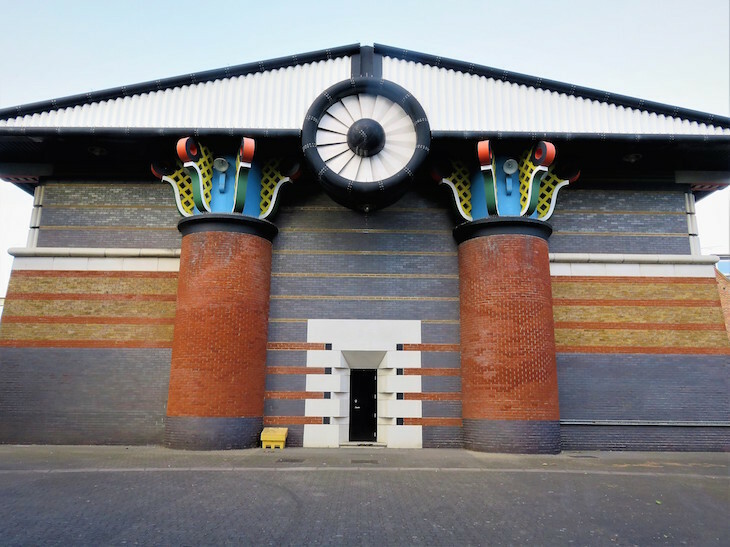 Christened 'The Temple of Storms' by its architect John Outram, this post-modern beauty is now Grade II-listed, which means it can continue to surprise passers-by on the Thames for generations to come. A glimpse of these towering icons means you're nearing everyone's favourite flatpack-and-meatballs emporium, of course. But have you ever wondered why the chimneys were there in the first place? No? Well, we'll tell you anyway. They were originally part of the Croydon B power station, which finally opened in 1950 after its construction was delayed by the second world war. 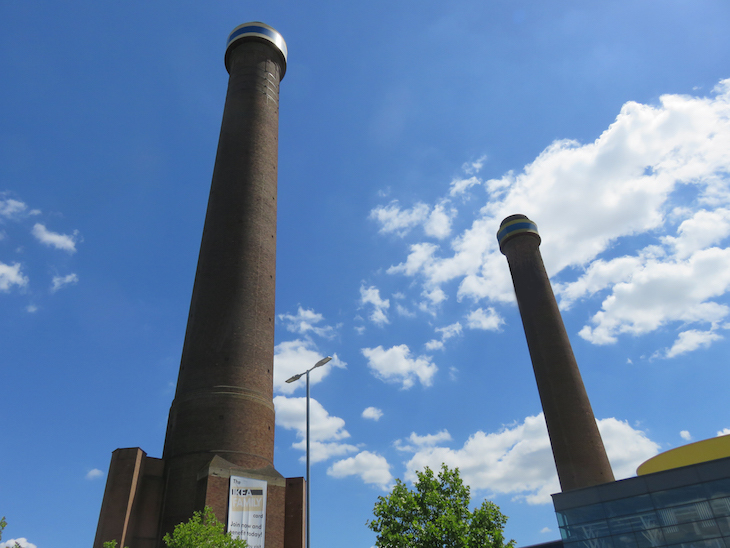 It was decommissioned in 1984 — and the entire power station, aside from the chimneys, was demolished to make way for Ikea in the early 1990s. 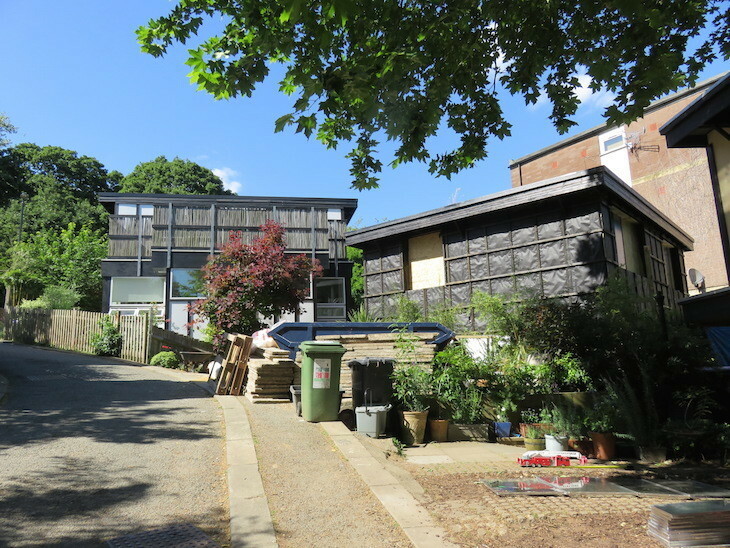 This unconventional curving cul-de-sac with its intriguing array of family homes is the result of a 1980s collaboration between Lewisham Council and modernist architect Walter Segal, the brains behind a revolutionary method of low-cost self-build housing. In a nutshell? The houses are mainly constructed from lightweight timber on concrete bases, with no need for bricklaying, plastering or deep foundations. This Grade II-listed building is thought to be the only surviving example of a 19th-century concrete house. 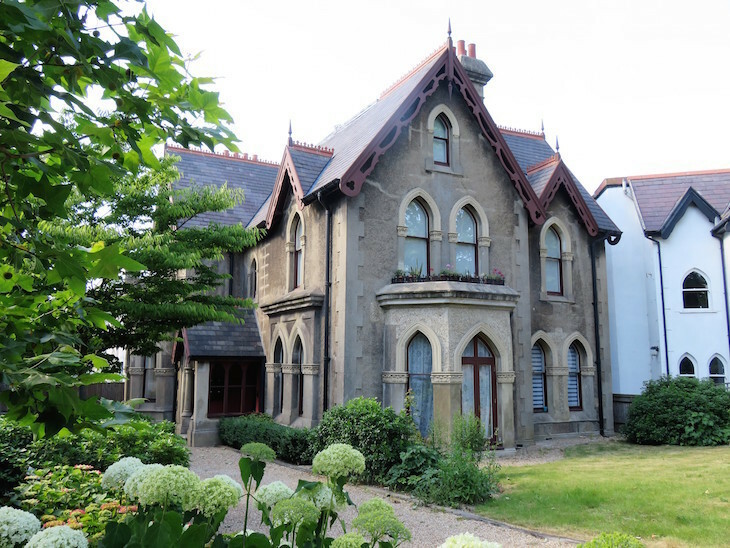 It was built in 1873 by Charles Drake to showcase his patented concrete-building method. The house suffered bomb damage during the Blitz and later lay derelict for several decades, until Southwark Council took out a compulsory purchase order in 2010. It's since been completely restored and turned into housing association flats. While tracing a path through the ever-changing building sites around the Millennium Dome — sorry, O2 Arena — you could perhaps be forgiven for dismissing this odd structure as yet another new-build-in-progress and walk straight past. But take a second look. 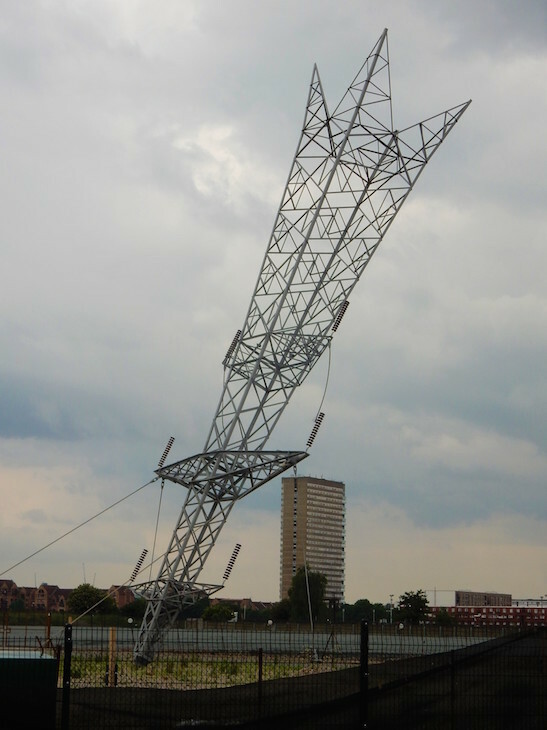 It's actually an installation by sculptor Alex Chinneck. Called A Bullet From A Shooting Star, it was designed to reference the industrial history of the site, which once included Europe's largest oil and gas works and a steelworks.